All the teachings, maps, exercises and philosophy of Movement Medicine are contained in the mandala we work with. The mandala has 21 stations or gateways. We see it as an archetypal story for our times. 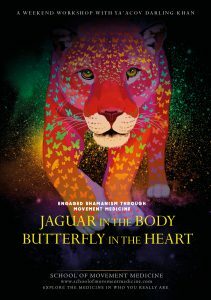 It maps the human journey from wounding to healing, from disempowerment to empowerment and from separation to a unified field of creative individuals all committed to being who they are and giving what they’ve got. 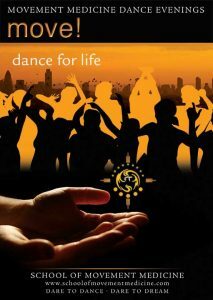 The whole mandala itself is a representation of the ancient symbol of the Tree of Life. 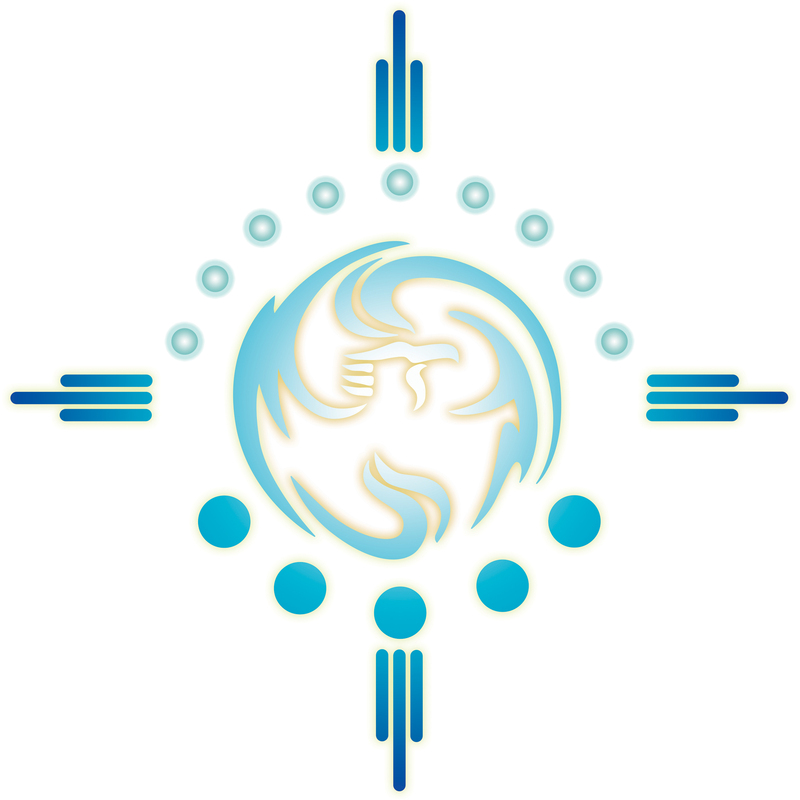 It represents nature and our place in it and it also depicts the shamanic journey through the lower, middle and upper world that is found in cultures worldwide. At the centre of the circle sits the Phoenix which represents Yin and Yang and the Life-Death-Rebirth Cycle. It holds the reminder that we all have the possibility to rise from the ashes of our suffering and be reborn again and again to create and recreate in the great Creative Project that is life. We see this central energy as being the force of attraction between opposites that creates the conditions for life in this universe. For that reason, we sometimes call it the fifth element or love. It is also the silence, the void and the emptiness from which all manifestation arises and to which it returns. It is the place of digestion, rest and all potential. It is the ineffable presence of the Great Mystery. Around the circle, the four elements of Wind, Fire, Water and Earth are represented in the four directions. Developing our relationship with the elements is an important aspect of Movement Medicine practice. The five circles at the bottom are the roots and they represent the importance of developing healthy and strong relationships with the Self, Others, Community including the whole web of life, the Spirit World and with the Divine. The nine circles at the top are the branches and they represent the three journeys that make up the School of Movement Medicine’s curriculum. Our curriculum offers a pathway through the initiatory journey of transformation towards being a responsible, articulate, passionate, creative and imaginative human being. The 9 Gateways of Movement Medicine are divided into three journeys, each with a specific intent. 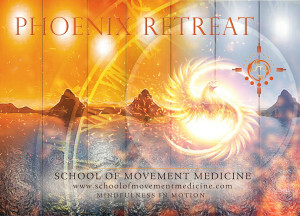 The specific workshops associated with each journey are listed on the Movement Medicine Path page. 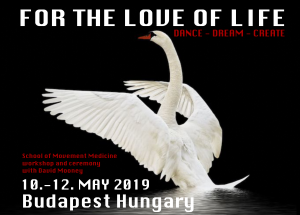 The School of Movement Medicine encourages a deep and imaginative engagement with our dreams and responsibilities as human beings living in the 21st century. This pathway is for those people who dare to dream and to act on behalf of themselves and the wider community of life on earth. It’s a pathway for people who want to live a truly meaningful and fulfilling existence. Whatever your shape, age, background or ability, there is creative inspiration in you. 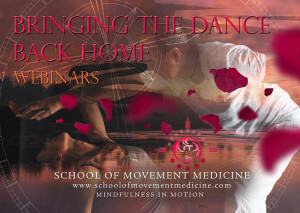 Movement Medicine will help you to find that inspiration, give it form, and place it in the driving seat of your life.